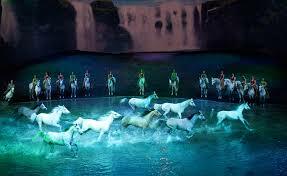 GALLOP ON DOWN TO CAVALIA ODYSSEO…NOW!! 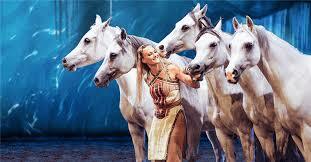 Cavalia Odysseo, an extraordinary equestrian adventure under the Big Top with compelling music, arresting staging and a magical message is now playing in Camarillo. The show has now been extended to run through January 7. Go now to have your spirits elevated to the sky. We urge you to see this heart-stopping extravaganza that is amazing from start to finish, an energetic spectacular for the whole family. Creatively staged and full of imagination, this show is a revolution in live performance. 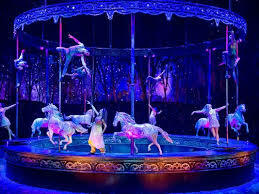 Dazzling performers, 65 horses and enchanting sets, haunting music and wondrous lighting create the most beautiful of effects that are larger than life and truly memorable. Ticket prices range from $29.50 to $154.50 + applicable fees. For a memorable outing, the Rendez-Vous package offers the best seats in the house, a full meal buffet dining before the show, open bar, desserts during intermission and an exclusive visit to the stables after the show. This unique VIP experience takes place in a tent alongside the White Big Top. The Rendez-Vous package prices range from $149.50 to $269.50 + applicable fees. Special pricing and packages are also available for groups of 12 spectators and more. 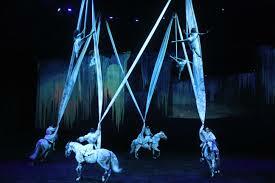 Tickets for Odysseo are available at http://www.cavalia.com/venturacounty/ or by calling 1-866-999-8111.